As I’ve mentioned before on this site, I don’t really do restaurant reviews. There are countless other blogs dedicated to critiquing restaurants and detailing meals with photos and write ups. However, I get a lot of inspiration from trying new places and thought I would share some of my favourite recent discoveries. XO Le Restaurant – Located in the Hotel St. James in Old Montreal, XO is a mix of old world charm and modern touches and the menu is sophisticated but accessible. Stand-out Dish: Braised Oxtail Risotto. The rice was perfectly cooked – slightly al dente in the middle with a creamy consistency. To make your own risotto at home, check out my post on Basic Risotto. Le Petit Alep – This casual resto near Jean Talon Market is the smaller sister restaurant to Alep next door. They serve top notch Syrian-Armenian dishes, such as shish taouk and Armenian sausages. Stand-out Dish: Muhummara, a red pepper -pomegranate-walnut based dip that is delicious and addictive. You can make a version of it with this recipe from epicurious.com: Muhummara. 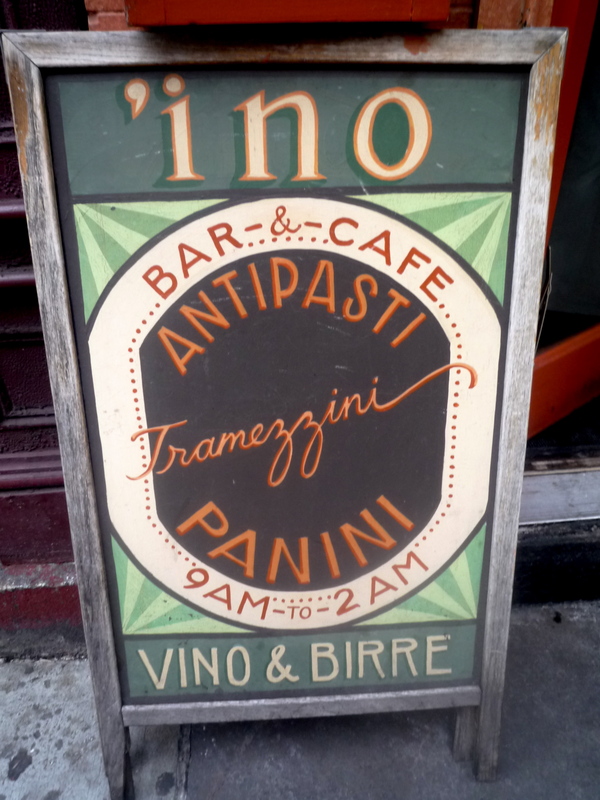 ‘Ino – A small, casual panini restaurant in New York’s West Village, ‘Ino Cafe and Wine Bar takes the humble sandwich to a whole new level. The menu offers everything from grilled panini to amazing crostini with inventive toppings such as butternut squash. Stand-out Dish: Truffled Egg Toast. 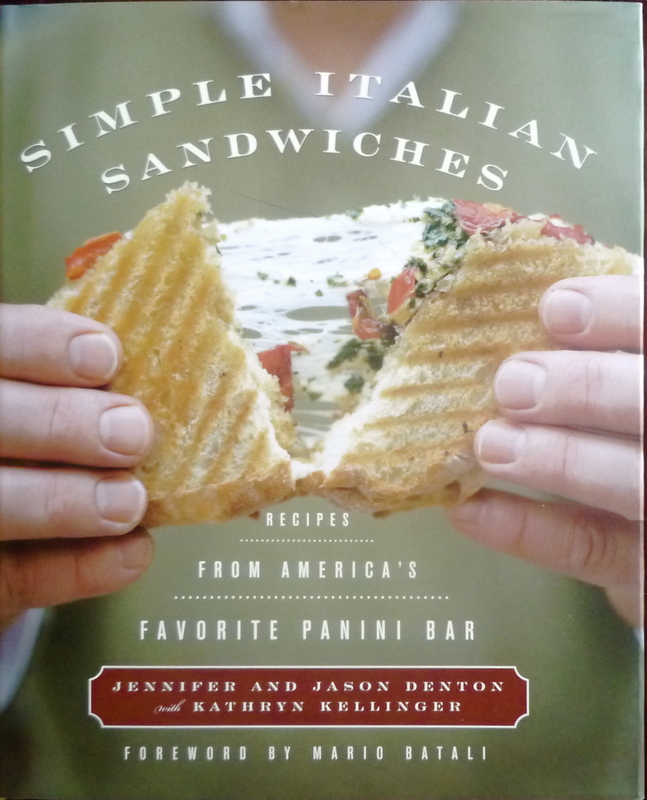 The recipe for it and other ‘Ino dishes are available in their book Simple Italian Sandwiches: Recipes from America’s Favorite Panini Bar but you can also find it on-line here: Truffled Egg Toast. Freemans – This funky resto on NYC’s Lower East Side has eclectic decor and a creative cocktail menu. I was there with a group on Valentine’s Day so our menu options were limited but the choices we had were well prepared. Stand-Out Dish – Grilled Cheddar Toasts. You can check out my version here: Cheese Toasts. Locanda Verde – Chef Andrew Carmellini was voted Time Out New York’s 2010 Chef of the Year for his latest venture. Located in TriBeCa’s Greenwich Hotel, the restaurant has gotten a lot of press over the past few months for its rustic and flavourful Italian cooking. Stand-Out Dishes: It’s a tie between the Beet Salad with Blue Cheese and delicate, house made Grandmother’s Ravioli. For a slightly different version of beet salad, try my recipe for Roasted Beet Salad with Walnuts and Feta. 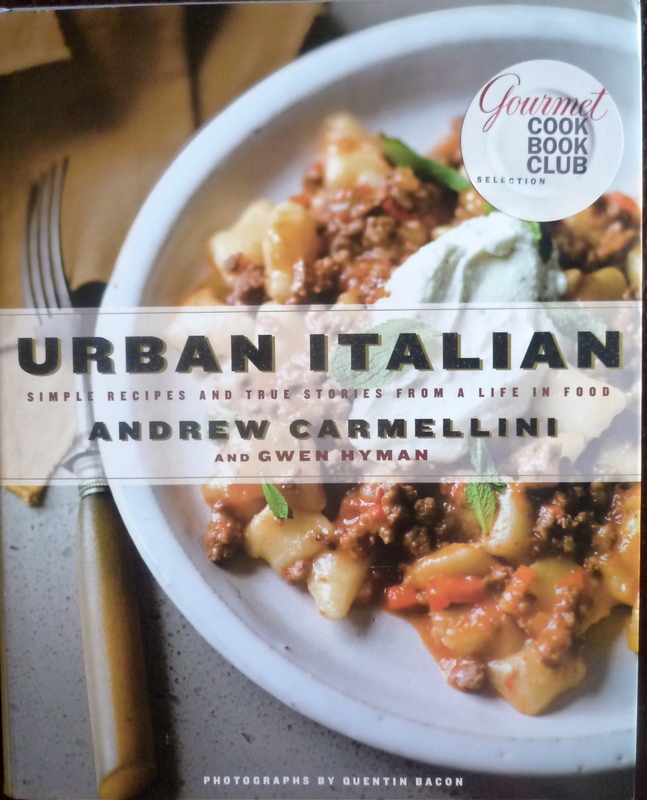 You can also re-create some of Chef Carmellini’s dishes with his best selling cookbook, Urban Italian: Simple Recipes and True Stories from a Life in Food. Palm Beach Grill – This casual resto is part of the Hillstone Group which owns the popular Houston’s chain in the United States. During peak season, the people watching is always entertaining and the valet parking area is filled with luxury cars. Luckily the food is good too. Stand-out Dish – the Cheeseburger. It may seem simple but a hamburger cooked to perfection can be surprisingly hard to find and Palm Beach Grill does it right. 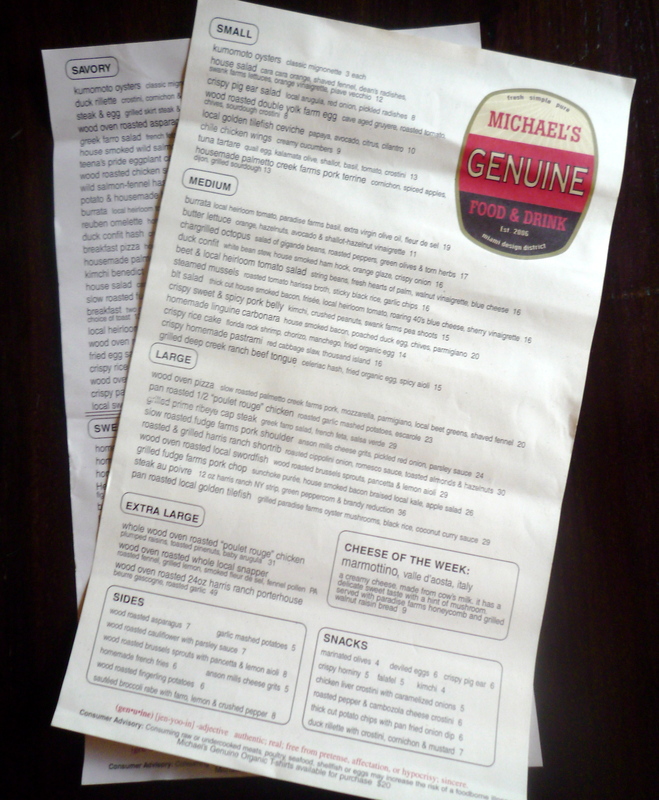 Michael’s Genuine Food and Drink – Michael’s is often mentioned on lists of Miami’s best restaurants and with good reason – the food is fantastic. I joined my friends Judi and Robin for Sunday brunch, which is served tapas style. We shared a few dishes, which is a great way to try more of the menu. Stand-out Dishes: Everything we had was delicious but the highlights were the Burrata with local heirloom tomatoes and Lemon Ricotta Pancakes with blackberry compote. Scarpetta – A Florida outpost of the New York restaurant, Scarpetta is located in the newly refurbished Fontainebleau Hotel. The space is stunning and the people watching can’t be beat. However, the food lives up to the scene. A starter of burrata with heirloom tomatoes was fantastic (clearly I love burrata!) and the house made pastas are delicious. Stand-Out Dish: The famous Spaghetti with Tomato-Basil Sauce, a simple but perfectly executed dish that is greater than the sum of its parts. You can make your own version using chef/owner Scott Conant’s recipe: Scarpetta’s Tomato-Basil Spaghetti. Prime One Twelve – Located on South Beach’s Ocean Drive, Prime One Twelve is definitely a scene. There’s a good chance you’ll spot some boldface names (we were seated next to NBA star Dwyane Wade and actress Gabrielle Union). The food is pretty good as well (if on the pricey side). Stand-Out Dish – Surprisingly, it was the Jumbo Lump Crab Cake, which was served with sweet corn relish and tartar sauce. 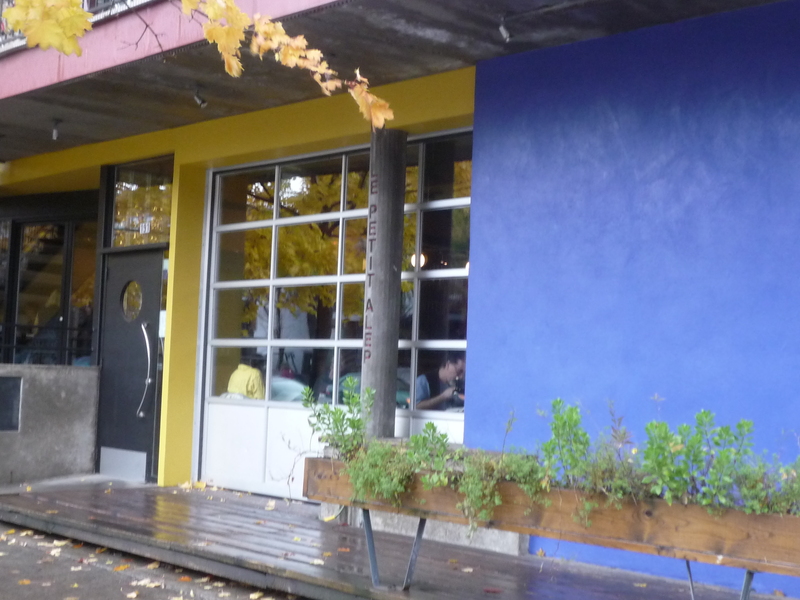 Lady Marmalade – This eclectic breakfast/lunch spot started in Victoria, B.C. and the owners recently opened a Toronto location in the Leslieville neighbourhood. There are creative options such as a ‘good morning poutine’ and various mexican-inspired huevos. 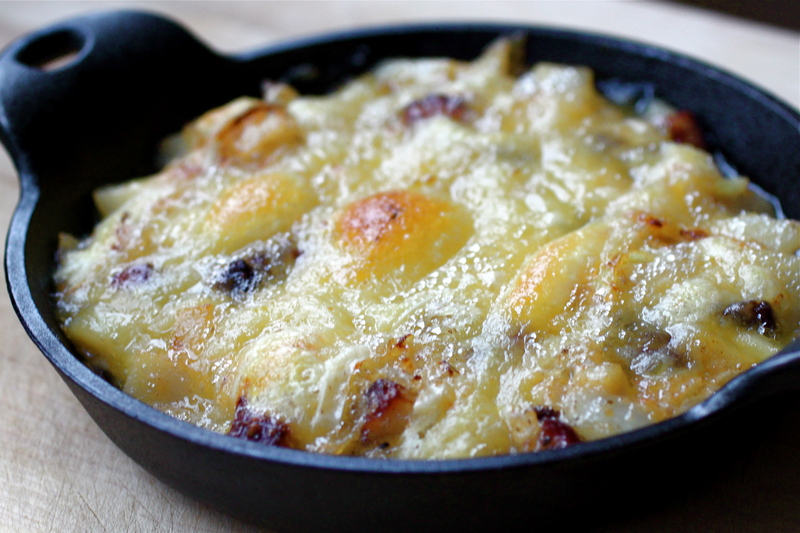 Nothing is fried so the accompanying potatoes have been oven roasted, making them less greasy than many breakfast joints. Stand-out Dish: Baked Crepe Croque Monsieur, an oven baked crepe topped with ham, cheddar and a miso-scallion cream. Weezie’s – This small and cozy bistro is a the perfect place for dinner, whether it’s a romantic evening for two or a gathering of friends. Chef/owner Constance Guitard’s menu features simple but well prepared dishes including a juicy hamburger, decadent mac ‘n’ cheese and excellent frites. Stand-Out Dish: Frisée Salad with Lardons and Panko Crusted Poached Egg. Frisée salads with lardons (basically a salad topped with bacon and eggs) are a staple in French bistros but Chef Guitard puts a delicious twist on it by coating the poached egg in panko crumbs and frying it, resulting in the perfect blend of textures and flavours. You can make your own version of the original classic with this recipe from Pastis in NYC: Frisée Lardon with Poached Egg. Thanks to everyone with whom I’ve enjoyed these fabulous meals over the past few months. I look forward to many more! As I mentioned last week, I was vacationing in beautiful Maui, Hawaii. I just returned, exhausted after a long series of flights to get back to ‘the mainland’. However, I had a wonderful time and was inspired by the fantastic food, breathtaking scenery and wonderful people of Hawaii. We stayed in the southwest area of Maui called Wailea, which is home to many of the luxury resorts on the island including The Four Seasons, The Fairmont, The Grand Wailea and Marriott. All of the hotels are oceanfront with beach access and a winding footpath connects the properties allowing you to enjoy stunning vistas en route. Maui is a very family friendly destination and many fellow guests at our hotel were traveling with their kekei (kids). There are activities on the island to suit almost everyone including hiking, bird watching, scuba diving, golf, snorkeling, surfing and whale watching. Of course, if you’re in need of pure rest and relaxation, there are excellent pools, beaches and spas that will suit your needs perfectly. The cuisine of Hawaii is inspired by what grows locally as well as the influence of settlers and visitors throughout its history. Fish and fresh fruit are featured prominently on menus and chefs take their cues from other local products such as coconuts, macadamia nuts, sugarcane, breadfruit, taro,beef, pork, coffee and onions. Dishes often have an Asian flavor but there are also Portuguese influences and oddly enough, Spam (the canned ham product) is wildly popular with Hawaiians. We had many great meals so I’ll just touch on some of the more interesting highlights. Anxious to try some of the local fish, we dined our first evening at Nick’s Fishmarket at our hotel. I started with a New England-style (creamy) fish chowder prepared with various local whitefish and topped with a small, crispy crab cake. My husband Allan began with some Pacific oysters, accompanied by a truffle mignonette. For my main course, I chose freshly caught hamachi which came with a light pineapple ponzu sauce, hearts of palm, soba noodles and local Hana fern shoots, which are similar to fiddleheads. Allan opted for the scallops with gnocchi, mushrooms and asparagus. Everything was ono (delicious), although the gnocchi were slightly undercooked. For dessert, we had a show-stopping strawberry dish that was as entertaining as it was tasty: Flaming Strawberries with Grand Marnier. Our server lit the alcohol and poured the flaming alcohol over strawberries that had been artfully plated with chocolate sauce so it looked like a beautiful flower. It was a great way to end the meal. The next morning, we ate at the hotel again before starting our day’s activities. There is a great buffet featuring everything from plain bacon and eggs to macadamia nut sticky buns and granola with coconut. However, we decided to order a la carte and discovered a delicious dish that was a unique twist on an old favourite: Eggs Benedict with Tuna and Wasabi Hollandaise Sauce. Admittedly, it sounds a little strange but it was absolutely fantastic. The English muffin was baked with poi (a staple Hawaiian starch made from taro root), giving it a bit of a sour flavour and an unusual purplish tinge. The tuna was tender and topped with a buttery hollandaise with only a hint of wasabi so it wasn’t overpowering. It was the most interesting breakfast dish I’ve had in a while. Eating at the hotel, while tasty, was also incredibly expensive so we opted to have ‘cheap and cheerful’ lunches whenever possible (note that ‘cheap’ is a relative term on Maui – even ‘downscale’ places tend to be more expensive than you might expect). Driving is really the only way to get around the island so we rented a convertible and hit the road. We drove to Lahaina to explore and stopped for lunch at the waterfront Cheeseburger in Paradise, a fun, casual place with knick-knacks on the walls, live music and friendly servers. I had the guacamole cheeseburger, a large juicy burger topped with a generous amount of mashed avocado, while Allan had the sliders topped with mushrooms, cheese and jalapenos. We split a side of fries, which were thick cut and lightly seasoned. Accompanied by a cold beer, what more do you need in a lunch? Another day we went to Maui Tacos in Kihei and got their mahi mahi fish tacos served in a fresh corn tortilla and took them across the street to enjoy on the beach. While I’m no taco expert, for a casual, tasty and affordable lunch, it fit the bill nicely. One of the highlights of our trip was driving the Road to Hana on the north coast of Maui. The highway stretching from Paia to Hana is only 68 miles (109 km) but is famously twisty and narrow. There are approximately 600 curves and 54 bridges, most of which can only accommodate traffic in one direction, meaning you have to be very alert for on-coming traffic. However, the drive is well worth it: the views of both the ocean and rain forest are stunning. It really is about the journey as opposed to the destination so it’s a good idea to take the day to enjoy the various sights along the way. Our first stop was at a fruit stand just past Paia. Fresh pineapple,coconuts, avocados, banana bread and mango bread were available so we picked up a fresh mini loaf of the banana bread. We noticed people eating avocados with a spoon so we enquired about it and soon the owner handed us each half of a fresh, pitted avocado sprinkled with nutritional yeast, salt and pepper. Sounds weird but it was incredible. The creamy flesh paired beautifully with the slightly salty umami of the nutritional yeast. It was the second unusual but delicious breakfast I had that week. Shortly past the fruit stand we stopped at Twin Falls. A hiking trail through a tropical farm leads the way to a remarkable swimming hole at the base of the falls. To get to it, you have to wade through a rocky and rather treacherous pool of water but it’s worth the journey. We swam in the cool, refreshing water and Allan swung from a rope into the falling water. We enjoyed a pineapple smoothie after our swim, sold out of a van at the farm’s entrance. The trees at the farm were heavy with bananas, limes and other tropical fruit so everything is fresh and local. Our swim at the falls was a definite highlight of our trip. After a couple of hours and several stops to enjoy the views, we arrived at Hana. While there are restaurants in the area, we were in damp bathing suits and muddy flip-flops so we sought out something a little more casual. We headed to the beach and got a plate lunch from Tutu’s. Our guide book said to skip it but our lunch was delicious. Juicy, tender teriyaki roast pork was accompanied by two mounds of sticky rice and a side of macaroni salad. It was easily enough for both of us so it was a good deal to boot. It was the perfect thing to fill us up before our long but beautiful journey back through the twisty road. Spago at The Four Seasons – Wolfgang Puck’s famous L.A. restaurant has a Maui outpost that features local products on the menu. We enjoyed ahi sashimi, Hong Kong style salmon and a tasty crusted monchong and finished by sharing a layered fruit parfait with strawberries, coconut cream and pineapple. The only disappointment was a dish of rice that was overcooked to the point of mush. Po– This restaurant features traditional Hawaiian ‘plantation cuisine’. We opted for the 3-course Taste of Hawaii menu for $39 each, which is a great deal by Maui standards. Stand out dishes included the paniolo (cowboy) rib eye, glass noodles and banana lumpia for dessert. Luau – The best luau on Maui is reputedly The Old Lahaina Luau. Unfortunately, it needs to be booked well in advance so we were unable to get a table. However, the Marriott Hotel in Wailea also hosts a luau four days a week and even though it may be ‘touristy’, it’s well worth going to one. Traditional Hawaiian dishes included kalua pig, shoyu chicken, mahi mahi, poi, teriyaki beef and salads. Tropical drinks such as mai tais and non-alcoholic pineapple juice were available at the open bar. As the dancers told the stories of Hawaii, the sun was setting in the background. It was a beautiful spectacle. Hali’imaile General Store – By all accounts, this restaurant is one of the best on Maui. Unfortunately, they weren’t open for lunch on the day we had planned to go but they are open for dinner each day. Mama’s Fish House – We’ll definitely be making time to go to Mama’s on our next visit. Luckily their website features some recipes so I can re-create some of their dishes at home. Mahalo (thank you) and Aloha! The expression “When life gives you lemons, make lemonade” may be a bit of a cliché but when it comes to Canadians and winter weather, it’s an apt metaphor for what we do. Except instead of lemonade, we’re making icewine. Icewine was first made in Germany, where it is known as ‘eiswein’. It involves leaving grapes on the vines to freeze which concentrates the sugars. When pressed, the grapes yield a sweet, viscous nectar that is reminiscent of fruit and honey. While Germany may lay claim to icewine’s roots, Canada has become a top producer with Canadian wineries regularly winning awards at international competitions. To learn more about how Ontario icewines are made, visit www.ontariograpes.com. Each winter, the Niagara wine region in Southern Ontario holds an icewine festival and this year I had the pleasure of attending some of the events. A number of wineries hosted special tastings with activities and entertainment. The main street of Niagara-on-the-Lake was blocked off to make way for a number of booths featuring samples from local winemakers and small bites from area restauranteurs. Our day got off to a late start but it’s only a short drive to the Niagara region from Toronto (just over an hour, if traffic is good). 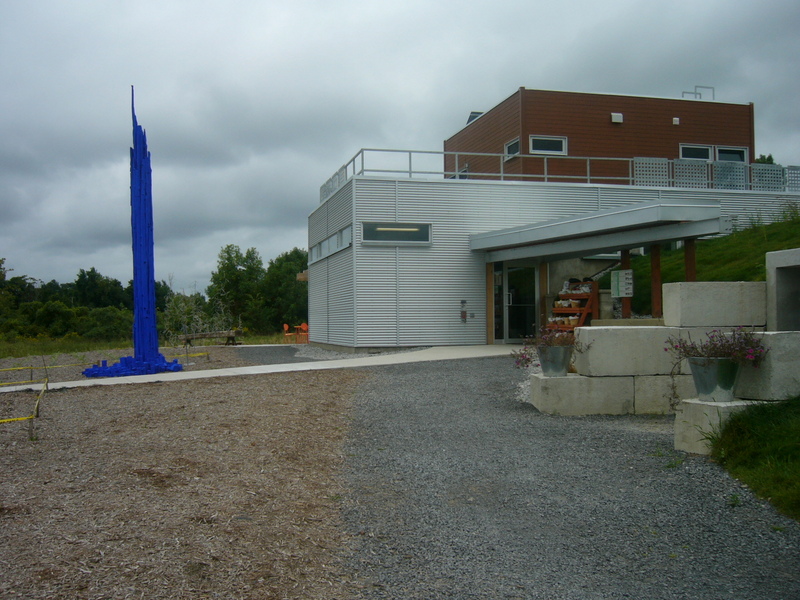 We stopped at Flat Rock Cellars and sampled a couple of their vintages. They were also selling icewine marshmallows for toasting over the outdoor fire and their pond had been cleared for skating but unfortunately the ice conditions were poor so no one was out. We moved on to Peller Estates who were hosting their tastings at an outdoor ice bar. They featured icewines made from three different grapes: cabernet franc, vidal and riesling. Like Flat Rock, Peller was also offering icewine marshmallows on sticks for toasting over fire pits. The toasted marshmallows were certainly better than anything you can buy in a bag but they were extremely sweet! To finish off, Chef Jason Parsons was offering his signature icewine infused white hot chocolate. It was the perfect drink to warm up with on a cold day. Finally we went into town for the main event. At the Fallsview Casino Icewine Lounge local restaurants were offering up small plates of their fare and icewine was flowing freely. Tokens were for sale at the entrance and samples typically cost between one and three tokens. There was entertainment and ice sculptors were wielding their chainsaws, producing temporary works of art. The most popular booth was the 20 Bees martini bar, which featured icewine martinis poured down an ice chute, ensuring the drinks were ice cold by the time they hit your glass (see recipe for the cocktail below). The food offered was very hearty including pork and beans, squash soup and a Provençal duck stew. 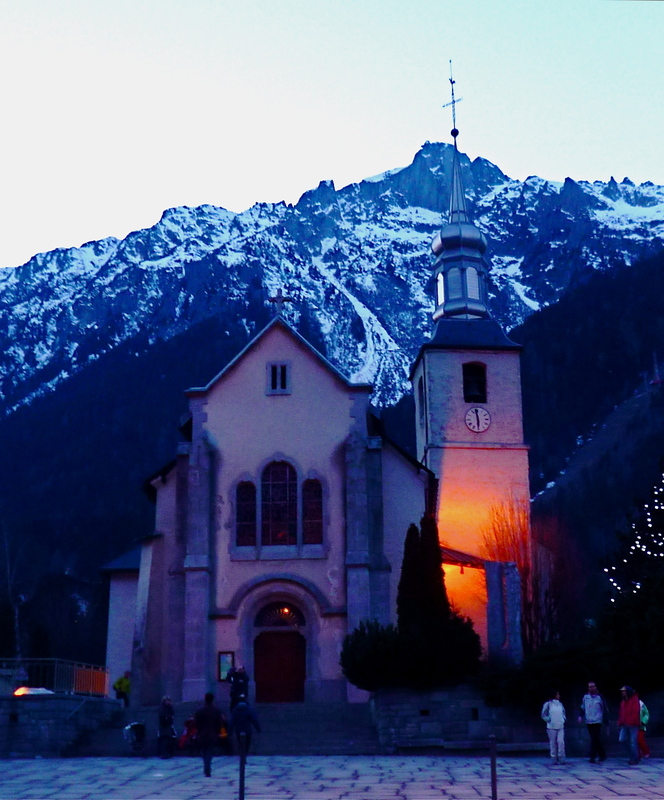 The festival is held each year and runs for two weekends. 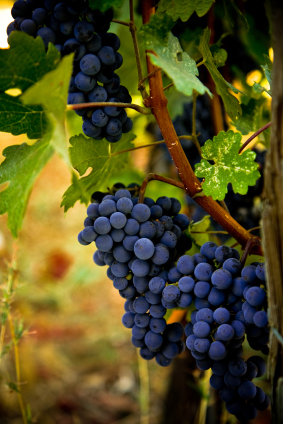 For information on planning a trip next year, visit www.niagarawinefestival.com. It’s a unique way to experience wine country in the off-season. A weekend of fine dining, great wine and perhaps a visit to the casino or a spa is the perfect way to chase away the mid-winter blues! If you aren’t able to make it to the festival, you can still get into the spirit at home. Niagara icewine is available around the world (I once saw some in a wine shop in Rome), although it’s not cheap. However, on occasion it’s an indulgent treat that’s worth the splurge. For more icewine cocktails, click here: Peller Estates Icewine Cocktails. Makes 1 (strong) drink, can easily be doubled. Chill a cocktail shaker in the freezer. Combine a scoop of ice cubes, the vodka and icewine. Shake well and strain into a chilled wineglass or martini glass. 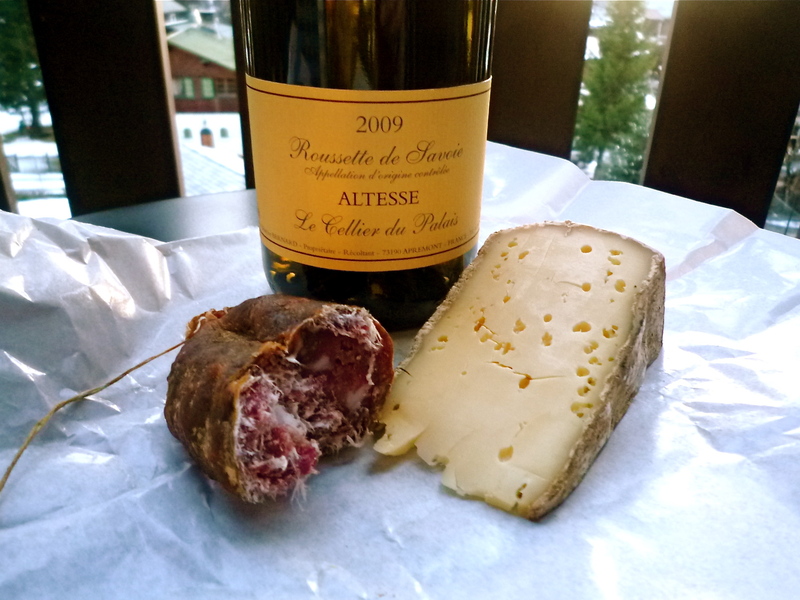 This makes a great accompaniment to a cheese plate. In a medium saucepan, combine icewine and pectin. Stir to combine and bring to a boil on high heat. Reduce heat to medium and simmer for 15 minutes, until jelly begins to thicken. Pour into a container and refrigerate until jelly cools and sets, at least 1 hour. 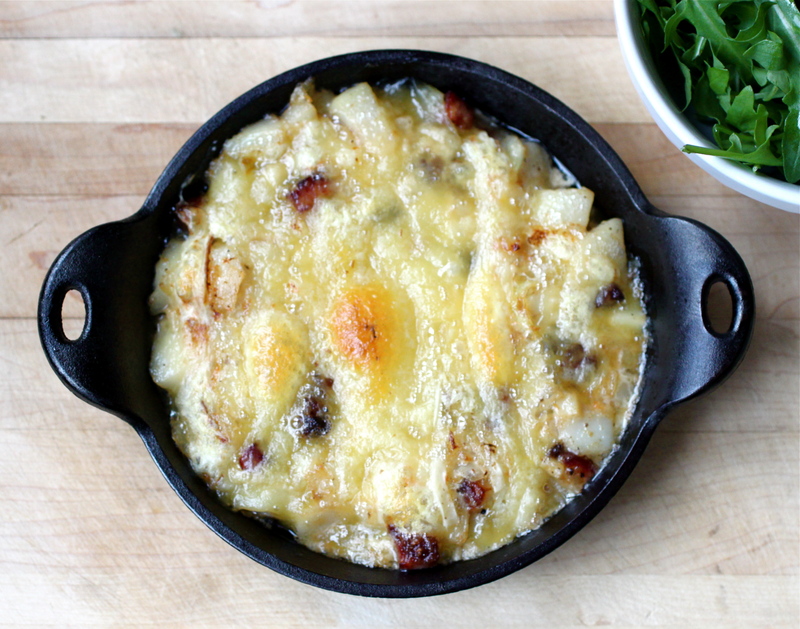 Serve with cheeses, foie gras, etc. The greatest heartbreak of my life was not for a person but a place. My husband Allan and I were fortunate to live in Montreal from 1990 to ’97. We fell completely in love with the city and its people, food, and vibrant culture. However, by the time Allan finished law school and we were struggling to find steady work, it became clear we’d have to leave. With heavy hearts, we packed our bags and headed down highway 401 to Toronto to start a new life. However, we still try to get back to visit whenever we can, as was the case this past weekend. 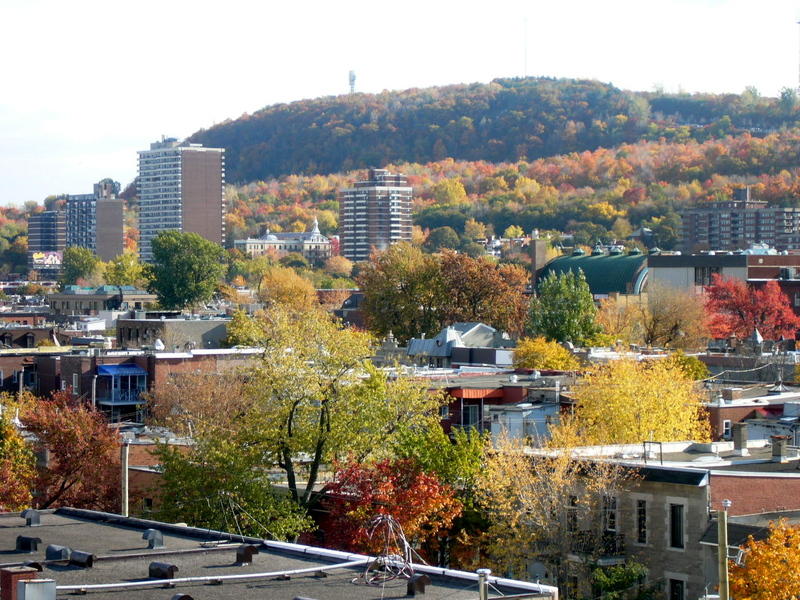 Autumn is a wonderful time in Canada and Montreal is especially beautiful. The city is compact enough that you can easily explore the downtown core by foot. With unique shops, great people watching and an abundance of restaurants and bars, putting on your walking shoes and wandering around is a great way to spend the day. The first place we headed on Friday afternoon was to Boulevard St. Laurent (‘The Main’), a street that divides the city into east and west. There are countless shops and restaurants along the street but we had one destination in mind: Schwartz’s for smoked meat. Schwartz’s is a Montreal institution – founded in 1928, they serve fantastic smoked meat sandwiches and other deli staples. However, almost everyone goes for the smoked meat. Despite the late-afternoon hour, the small deli was packed with happy diners enjoying their sandwiches. We each ordered a smoked meat sandwich with medium fat (don’t order lean – you need some fat for flavour! ), a plate of fries, a pickle and a couple of black cherry colas. 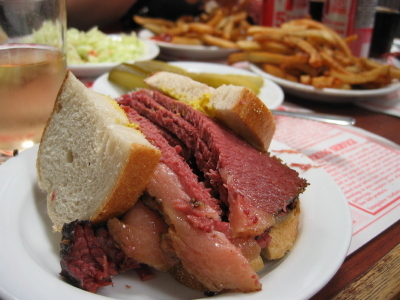 The sandwiches are piled high with freshly sliced smoked meat and the bread is impeccably fresh. There are places in other parts of Canada that claim to carry authentic ‘Montreal Smoked Meat’ but none I’ve been to compare to Schwartz’s (and don’t even get me started about Subway’s ‘smoked meat’ subs!). If you go to Schwartz’s during peak time, prepare to stand in line but if you like smoked meat, I guarantee it will be worth it. 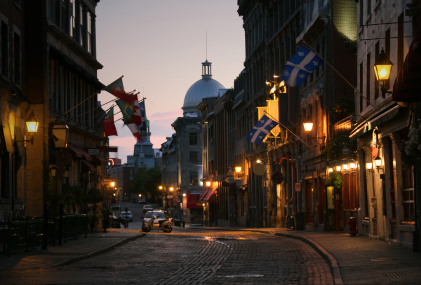 After our feast, we decided it was a good idea to get some exercise so we walked down to Old Montreal. When we lived there in the 90’s, Old Montreal was more of a tourist destination, full of tacky souvenir shops and mediocre restaurants. However, in the past decade the area has undergone a bit of a renaissance and there are now funky boutique hotels, wine bars, art galleries and popular restos. After exploring a few shops, we stopped for a glass of wine at VersesBar in the Hotel Nelligan, a charming boutique hotel in the heart of the old city. The bar was also offering cheeses and baguette slices for patrons but we were too full of smoked meat to even consider it! We returned to our hotel, Le Germain, to get ready for dinner. 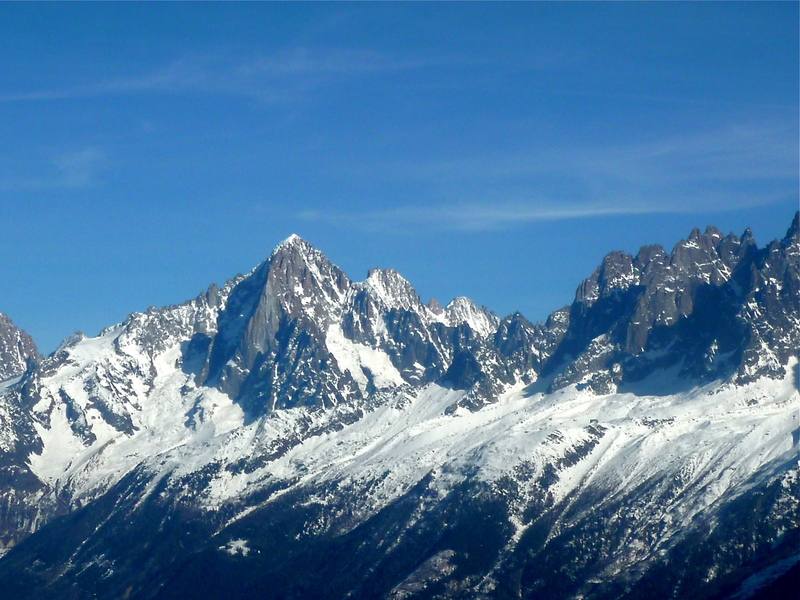 Le Germain is part of a small group of boutique-style hotels. Housed in a former office building, the exterior facade is nothing to write home about but the interior is modern and stylish and the rooms are comfortable and spacious. It’s centrally located on Mansfield Street, just off Sherbrooke Street so it’s an ideal launching point for exploring the city. Our friends Steve and Lindsay invited us to stop by their house for pre-dinner drinks so after a short rest at the hotel, we headed out again. We were greeted by a platter of Canadian cheeses including La Sauvagine, a soft Quebec cheese that is buttery and rich and Avonlea, a cloth-bound cheddar from PEI. Accompanied by some wine, olives, Spanish hams and good company, it was the perfect start to the evening. Despite the temptations, I was careful not to eat too much ham and cheese so I’d be ready for our dinner at Joe Beef. Located in the Petite Bourgogne (Little Burgundy) neighbourhood, Joe Beef is a casual resto that is intimate and comfortable. The menu is listed on a large chalkboard and changes regularly, depending on what is seasonal and available. I started with a locally made burrata, a cheese I’d been wanting to try for some time. Burrata is a fresh Italian-style mozzarella that is filled with cream. It’s rich and decadent but highly perishable so it must be consumed within a couple of days. As a result, it can be very difficult to find. A handful of places import burrata from Italy (and charge premium prices for it), but luckily some North American cheese makers have started making it as well, notably in Ontario, Quebec and California. My burrata was accompanied by a delicious mix of french green beans, lentils, pickled shallots, cured ham and a light vinaigrette. Divine! Allan ordered the oysters, a specialty of the restaurant. They were from Glacier Bay, N.B. and were sweet and briny. Our mains arrived shortly after. I got the smoked pork with stewed peppers while Allan went with the duck. The pork was moist, which was a welcome departure from dried out, fat-free pork that is all too common these days. Allan enjoyed his duck dish and the portion was very generous. For sides, we sampled their frites with mayonnaise and some mixed vegetables. The vegetables were a highlight of the meal: buttery white beans with garlic, a bit of tomato and sauteed red swiss chard. We were getting pretty full by this point but after a short pause, we were able to share a bit of dessert. Pannacotta with stewed figs was delicious and we finished with espressos. Our server, Vanya, was excellent: knowledgeable, friendly and attentive, she really made our dinner special. A huge thanks to Steve for his part in making our experience so wonderful. 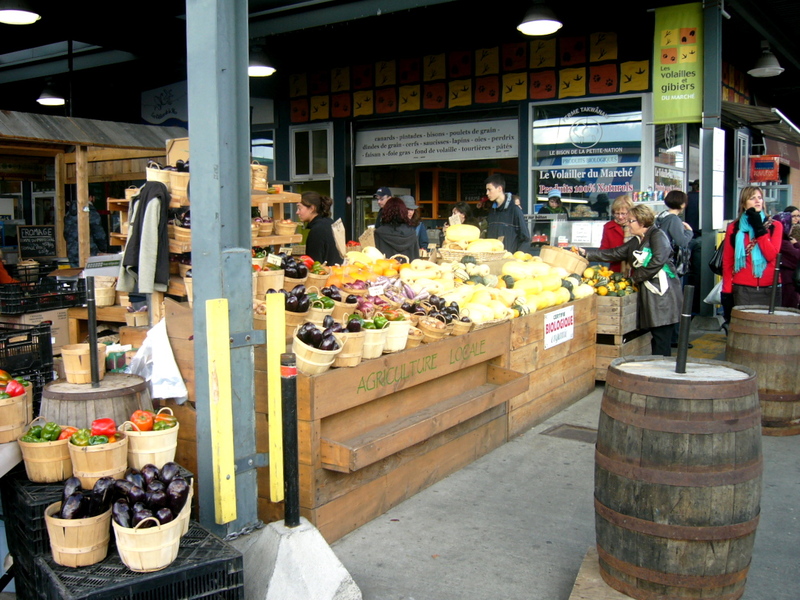 The next morning, we headed to Jean Talon Market. We took the métro, getting off at Jean Talon station and walking over to the market area. 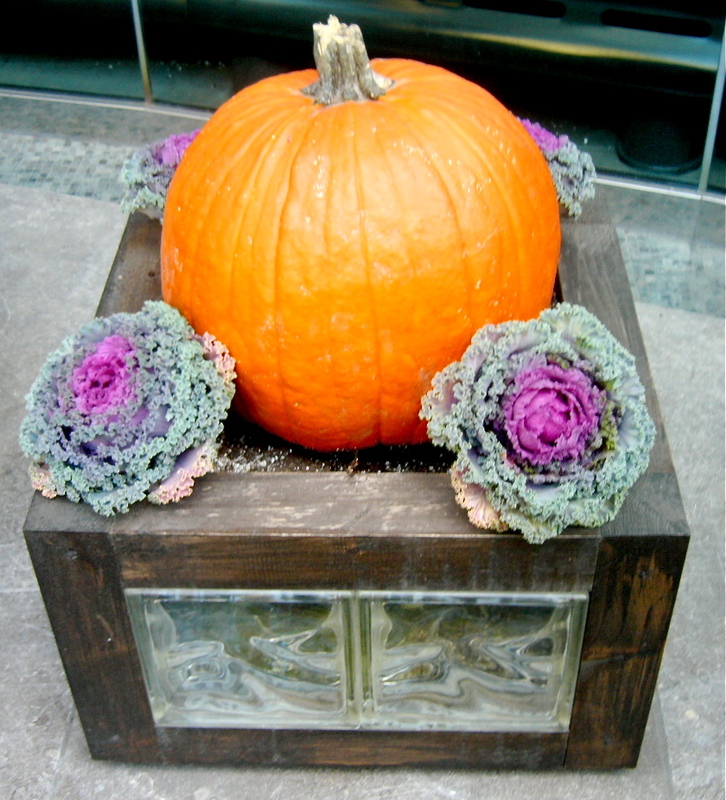 Even though it’s late in the season, there were still a lot of produce stalls artfully displaying the best of the season. 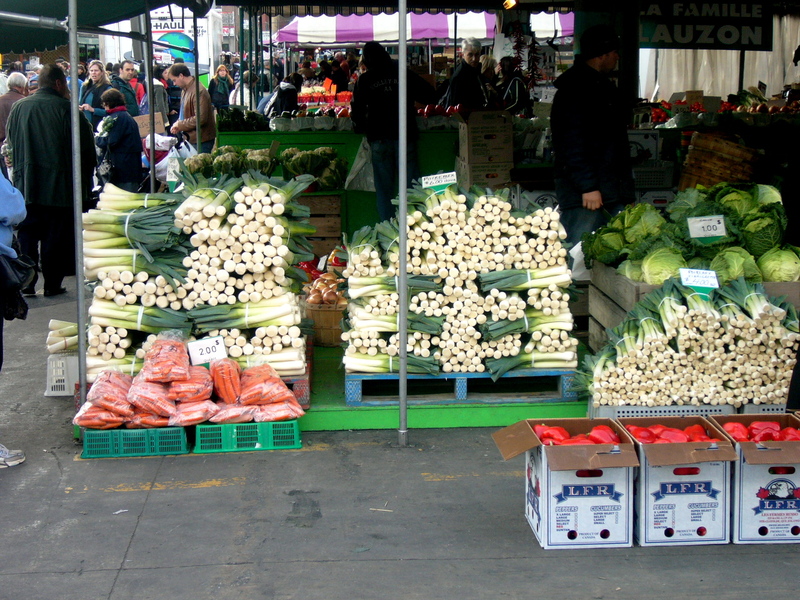 Piles of leeks, carrots in a variety of colours, multi-coloured cauliflower, various types of cabbage and fresh-picked apples were just some of what was on offer. I found the produce very inspirational and came up with a lot of new recipe ideas to try in the near future. There are also some great shops at the market, including butchers carrying Quebec products, an artisinal ice cream maker, a cookbook store, an olive oil shop and a fishmonger. Our market visit whet our appetites so it was time to find some lunch. We discovered a little Italian place next door to the market called Vinizza, which bills itself as an enoteca and pizzeria. It was quite busy so we decided to give it a try. The menu is basic Italian, featuring pizzas cooked in a wood burning oven. We split an appetizer of rapini with sausage and garlic accompanied by a glass of chianti. For our mains, Allan chose the handmade tagliatelle with porcini mushrooms while I opted for a pizza. While none of it was groundbreaking, it was well-executed and a great way to cap off our trip to the market. We walked off our lunch by strolling down St. Laurent Boulevard, through Little Italy. We stopped at our friends’ Lloyd and Kim’s apartment along the way for a drink and a fabulous view of Mount Royal and downtown. We opted for a late dinner Saturday night because we had tickets to a hockey game. 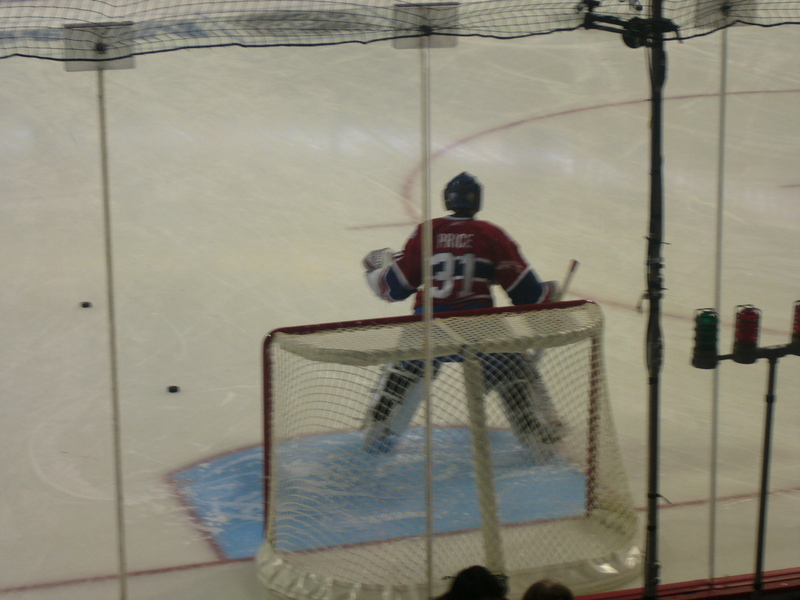 If you’re a Montreal Canadiens fan, there is no better place to watch a game than the Bell Centre. We had great seats and the game proved to be an exciting one. The Habs won 4-1 over Phoenix so the crowd left happy. Many thanks to Dan in NY for arranging the tickets. By the time the game was finished, we had worked up an appetite again so we headed to dinner. 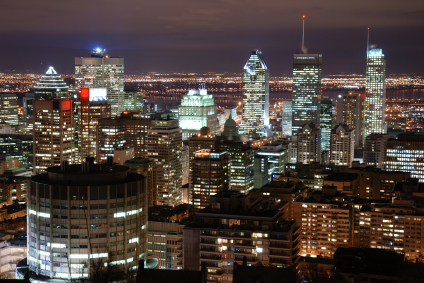 Montreal has no shortage of late-night dining options that stay lively past midnight. We chose Holder, a bustling brasserie in Old Montreal that serves French classics. I started with a simple salad with shaved parmesan, pine nuts and greens while Allan went with the slightly heartier option of foie gras served with gingerbread and cranberry. Both were delicious. For my main dish, I had the braised beef cheek in a bourgogne-style sauce and Allan had spaghetti a vongole, a favourite of his. We finished our last meal in Montreal with a glass of iced cider produced in the nearby Eastern Townships by a company called La Face Cachée de la Pomme (The Hidden Face of the Apple). It’s produced from the fermented juice of pressed frozen apples, resulting in a sweet, concentrated cider. It was the perfect ending to an excellent weekend. Our first stop was Fifth Town Artisan Cheese in Picton. 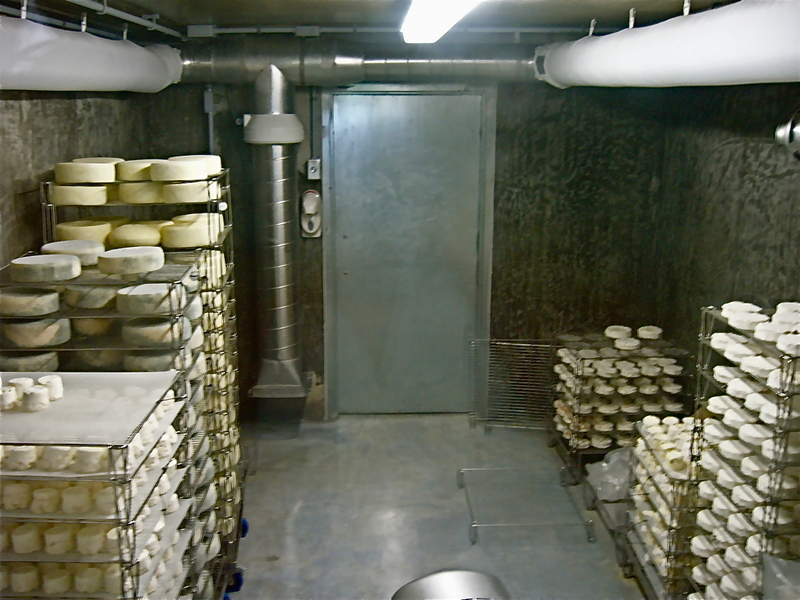 Established this year, Fifth Town makes artisanal cheeses from local sheep and goat’s milk. Their aim is to be socially and environmentally sustainable and their facility is a brand new, state-of-the art LEED-certified building. There is a small boutique where you can taste samples of their cheese and buy products and related books. We sampled a number of their cheeses including Improv, an aged goat cheese, Counting Sheep, a mild and creamy sheep’s cheese and Operetta, a smooth and creamy goat’s cheese with a wonderful texture and mild flavour. They were also kind enough to provide us with a sheet of tasting notes and local wine and cider pairing suggestions. Our next stop was County Cider Company near Waupoos. They specialize in apple cider, apple wine and ice cider. Their apple ciders and wines are crisp and refreshing and the award-winning ice cider is the perfect accompaniment to dessert or a cheese course. They also have a small terrace where they serve light lunches with a wonderful view of Prince Edward Bay and Waupoos Island. As we were leaving County Cider, we passed a fruit stand selling apples at Orchard Coast Farms. The trees in the orchards were heavy with ripening fruit so naturally we had to pull over and get some to snack on. I bought a peck (1/4 bushel) of honeycrisps and they were fantastic. 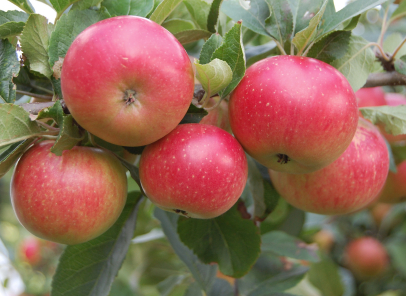 Firm, crisp and juicy, they had the flavour and texture you only get from fresh picked apples in the late summer and autumn. After filling up on apples, we headed to Long Dog Vineyard and Winery. Long Dog is a small winery in Milford producing excellent wines, including an outstanding pinot noir. It’s a favourite winery of Dan and Jenn’s and they visit often. Unfortunately, their wines aren’t available at Ontario liquor stores yet so I picked up a Pinot Noir and Pinot Gris for my wine collection. 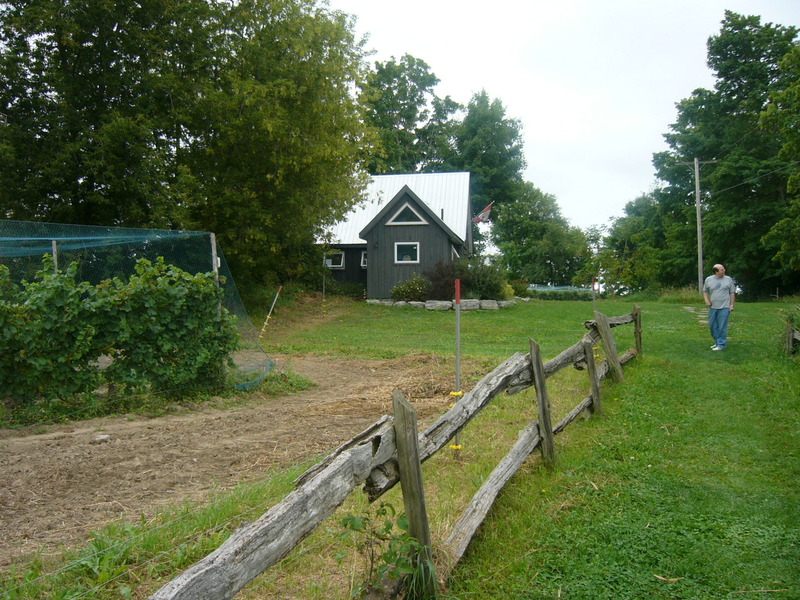 A short distance from Long Dog is Vicki’s Veggies, a family-owned farm that supplies a number of area restaurants. They also have a small roadside stand selling organic, heirloom vegetables as well as seeds and homemade pies. We were a bit late in the day getting there so there wasn’t a lot left (and no one seemed to be around) but there was a box where you could deposit payment for any vegetables you were interested in. It was very charming and quaint and reminded me of a by-gone era. We were fortunate enough to try some of Vicki’s produce later that evening and it was delicious. Before breaking from all the touring and tasting for dinner we stopped briefly at Black Prince Winery and Huff Estates. 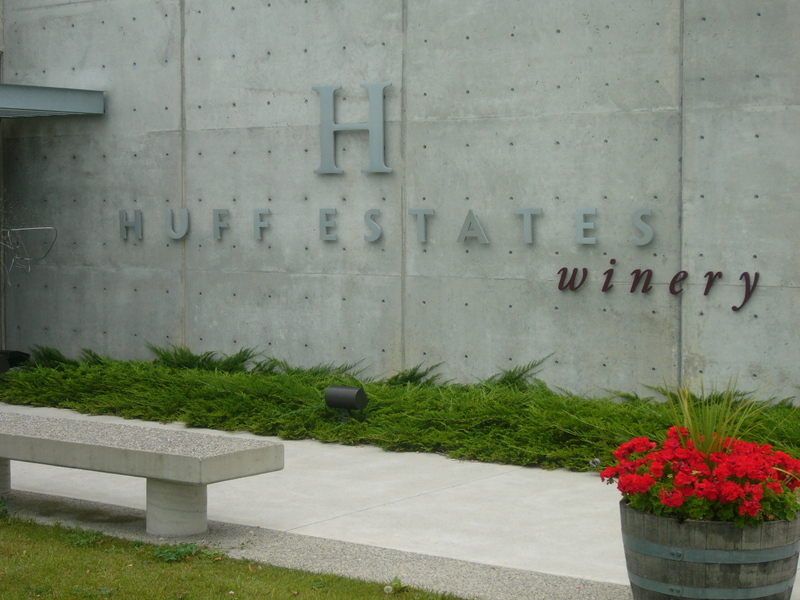 Huff is a very modern winery with a small inn on the premises and they make some great rieslings, rosés and ice wine as well as a few reds. 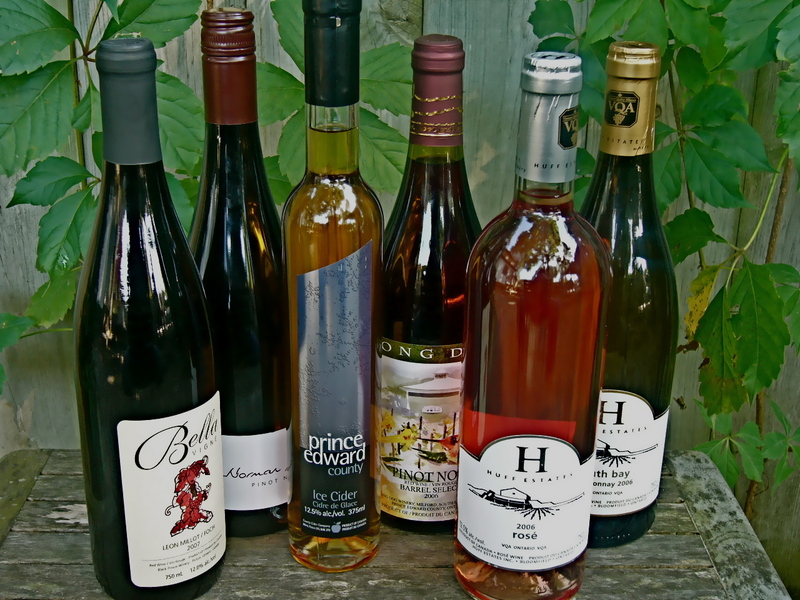 Some Black Prince and Huff wines are available at Ontario liquor stores and they are worth seeking out. We finished our whirlwind day with dinner at the renowned County restaurant Harvest. Harvest is owned by Chef Michael Potters and his wife Karin. Michael had been a chef in Toronto but decided to leave the big city for a quieter life in The County. The restaurant’s first incarnation was The Milford Bistro, a modest little restaurant in Milford. They moved to a larger building a couple of years later in nearby Picton. The interior is warm and welcoming with rich, rust coloured walls, wood tables and artwork by local artist Susan Wallis. The menu is constantly evolving to reflect what’s in season and they source ingredients from local purveyors such as Vicki’s and Fifth Town. The wine list features a mix of imported wines and local offerings. The night we visited Chef Potter was in the kitchen and the menu was heavy on seasonal produce such as heirloom beets and carrots, local corn and tomatoes. To start, Dan had an heirloom tomato salad with Fifth Town goat’s cheese and a sherry vinaigrette while I choose the scallops with corn. Jenn had the corn chowder with smoky paprika and shrimp. Along with some fresh, warm bread and butter, it was a great start to the meal. For his main course, Dan ordered corn cakes made with fresh corn and cornmeal and served alongside pickled beets, french green beans, heirloom carrots and corn foam. Jenn and I both opted for the beef tenderloin served with delicate, airy potato gnocchi, sauteed spinach, mushrooms and tiny, sweet heirloom carrots. The beef was tender and juicy and both servings were cooked precisely as ordered – no small feat since we each like them cooked to a different degree (I prefer medium-rare whereas Jenn likes hers cooked medium-well). To accompany our meal, we choose a local Norman Hardie Pinot Noir. To finish the meal, we tried a trio of desserts and sampled each others: Dan had three miniature creme brûlées (jasmine tea, vanilla and bitter chocolate), Jenn had a strawberry tart and I opted for Karin’s classic chocolate cake. As we left the restaurant stuffed but happy, we all agreed that it was the perfect way to end our food and wine adventure in The County. For further information about the food and wine scene in The County, check out the Taste Trail website. Many thanks to Dan and Jenn for their hospitality and for seeking out great places to visit. Check out my recipe for Tomato Salad with Goat Cheese and Sherry Vinaigrette that was inspired by our Harvest dinner!